This is the website of the official G2E Asia Awards for the Asian gaming industry to be held on Tuesday 21 May 2019 in a Macau integrated resort ballroom to be announced soon. The G2E Asia Awards are co-organized by Asia’s leading industry event G2E Asia and Asia’s leading industry media brand Inside Asian Gaming. G2E Asia sees its 13th anniversary in 2019, and is proud to celebrate the G2E Asia Awards at a ceremony recognizing excellence and innovation within Asian gaming while also acknowledging the success and outstanding contributions of the non-gaming aspects of the entertainment industry in Asia. The G2E Asia Awards presents awards in a total of 12 categories and is judged by a large jury of expert peers from a wide variety of industry sectors. Learn more about the awards process. Make your own nomination for the G2E Asia Awards. The who’s who of the Asian gaming industry. Who are they and how can you become one? The dinner ceremony will be held at one of Macau’s most prestigious integrated resorts. Book now. Who are the sponsors? What sponsorship opportunities remain? Promote your brand. G2E Asia is the international gaming trade show and conference for the Asian gaming industry. Organized by the American Gaming Association (AGA) and Reed Exhibitions, G2E Asia made its debut in 2007, defining itself as the preeminent show for the Asian gaming-entertainment industry. Bringing together a wide range of industry sectors, it is held each May at the Venetian Macao. 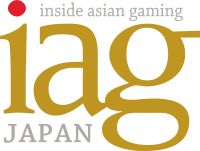 Inside Asian Gaming is Asia’s premier B2B print and digital industry publication for the Asian Gaming and Integrated Resort industries. Founded in 2005, it is widely distributed to industry executives in two formats: a monthly digital and print magazine and the IAG Breakfast Briefing e-newsletter, which is sent at 8am Macau time each weekday. IAG launched IAG Japan in January 2019, which includes the Japanese language IAG Daily Briefing e-newsletter, which is sent at 12noon Tokyo time each weekday. 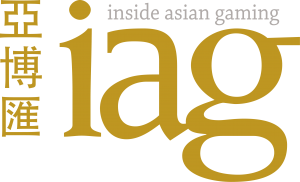 IAG is owned by O MEDIA, one of Macau’s most diverse media companies.